Spotting this immaculate condition vinyl album, I had to rescue it. The album opens with hit single Weak In The Presence Of Beauty, itself a piece of 80s beauty. Alison’s vocals are rich and warm and the song flows perfectly throughout this mid-tempo pop song. This is the most memorable of Alison’s songs and it fits perfectly with the sound of the late 1980s. The song was the second single, giving her a #6 UK hit single. Ordinary Girl follows this, giving Alison her first writer credit on the album. This song is a little more downbeat in mood, with her vocals reminding me something that you might find on a slightly cheery moment on a Morrissey album. Still, the tempo is up, and the snare drum strikes crisply as the song bounces along. However, the single stalled in the UK, reaching #43. Vocal samples usher in next song You Got Me Wrong, which is has plenty of layers of dramatic sounding synths as Alison and her backing vocals plod their way through this slower song. Pace picks up for the foot-tapping Without You. This song is a light almost folkish pop song, complete with accordion and strumming guitars – quite an easy listen and in a way reminds me a little of Deacon Blue or like a more catchy version of something by Fairground Attraction. Side One closes with Sleeping Like Breathing. Vocal samples again usher in this song, and Alison is joined on the mic by its songwriter David Freeman who gives quite a nice deep contrast to Alison’s voice. The song is a mid-tempo number, and it’s vocals are fittingly dreamlike, giving both plenty of time and space to show off their vocal range. Oddly, this song was released as the fourth and final single – but it stalled at #80 in the UK singles chart. Side Two opens with Is This Love? with its familiar bass and synth. This was a huge hit for Alison, and rightly so – earning her a #3 UK hit single. The melody is hypnotic and together with its chorus, it is instantly recognisable within just a handful of notes, and has become a regular go-to song for 80s pop compilations. The song was actually co-written by David A Stewart (of Eurythmics) under his nom de plume Jean Guiot. Fantastic! Blow Wind Blow opens with piano and breathy vocals. Lyrically, this feels like quite a sad song, but it allows Alison’s vocals to really shine in this somewhat stripped simple song. This is followed by Glorious Love, a much more upbeat and stronger track. The song has plenty of guitars and standard 80s beats, but it’s the chorus that really lifts it along with some well placed backing vocals, making it feel like a great little pop song. Penultimate track When I Say (No Giveaway) opens with a rattle of the snare before giving way to a really fast number. Bass bounces the song along effortlessly as Alison’s vocals dance over it and the little synth sequences. This is another little foot tapping pop gem. The album closes with ballad Stay. A simple beat ties the song together as Alison sings, reminiscing about home. A gentle synth bleeps through the second verse as more haunting backing vocals join in. Over all, this album is quite a nice album through 80s pop and more experimental sounds, although at times it feels somewhat sad – it seems Alison wasn’t happy. There are some great contenders here for what might have been more successful singles (When I Say…, and Glorious Love are the most obvious) than the latter two that saw release. Whilst the album doesn’t feel like it strays too far from her debut, it’s certainly a good sturdy extension. A must-have for Moyet fans. 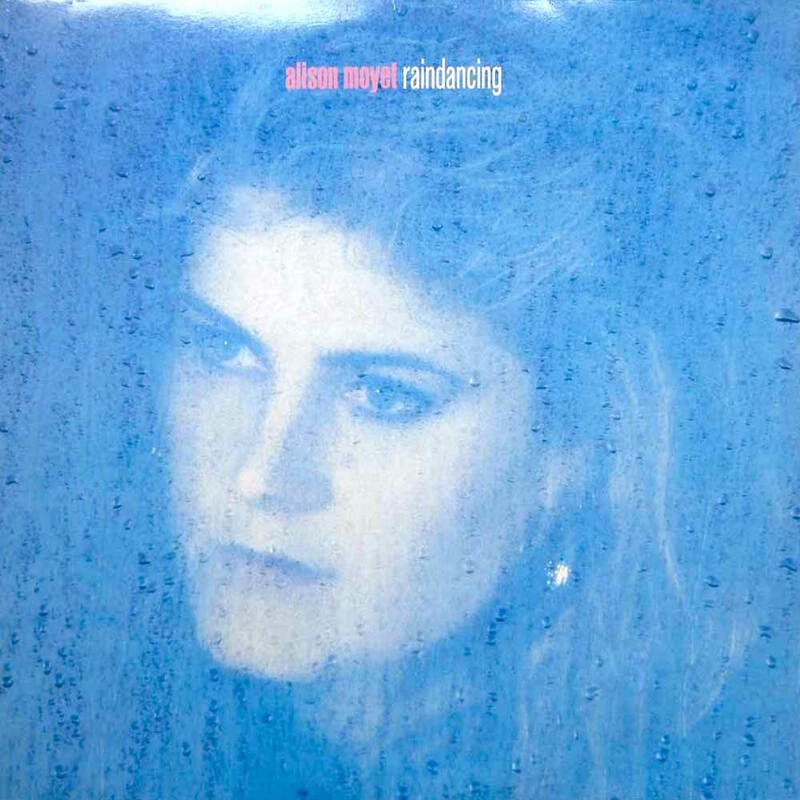 I’m no stranger to Alison Moyet songs, but until finding this album on LP, it was only her 2012 album that made it into my collection. I’m also familiar with her collaborations with the likes of My Robot Friend, and The Lightning Seeds. I also saved her debut album Alf. Where is Alison Moyet now? Alison soon released a cover of Love Letters after this album in 1987, returning her to the UK’s top 10 (#4) after a couple of lowly charting singles, featuring comedians Dawn French and Jennifer Saunders in the video. Sadly, despite continued releases, it wouldn’t be until 1994 when she’d return to the top 20. Despite intermittent chart success with her singles, her albums have consistently performed far better. Her career retrospective Singles (1995) took her to her first #1 album in the UK. Her most recent charting album The Minutes (2013) gave her a #5 UK hit album, seeing her return to the attention of mainstream media and earning her a lengthy tour – itself giving her a the live album Minutes and Seconds – Live in 2014 (although this did not chart) including songs from her vast back catalogue. POP RESCUE COST: £2.00 from an Emmaus store. Posted in 1980s, Alison MoyetTagged 1987, album, David A Stewart, David Freeman, Is This Love?, Jean Guiot, Ordinary Girl, Raindancing, review, Sleep Like Breathing, Weak In The Presence Of BeautyBookmark the permalink.